Acknowledged on the Contributor’s page of the book and in all media announcements. PHLF has published five architectural guidebooks (click here for details); each has received critical acclaim. 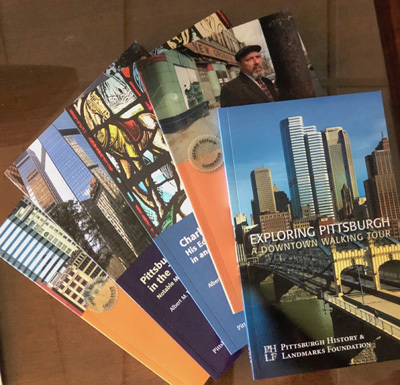 Funds are needed to update and reprint these popular guidebooks and to write, design, and print new guidebooks that celebrate particular aspects of Pittsburgh’s architectural heritage. For further information, contact PHLF’s Executive Director Louise Sturgess (louise@phlf.org; 412-471-5808, ext. 536).